This crochet baby blanket pattern is so easy and colorful, we decided to call it the Magical Baby Blanket. Using simple stitches and repeating rows, this crochet stripes baby blanket will soon become your go-to pattern when you need an easy blanket to crochet. Finished with a cute scalloped edging, this baby blanket is as magical as can be. When it comes to easy crochet baby blanket patterns, the Magical Baby Blanket beats them all! We love the bright, bold colors in these crochet stripes. 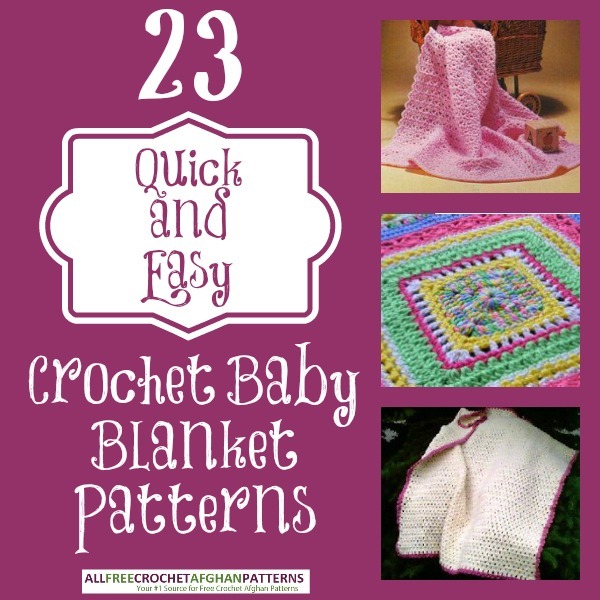 Get more baby blanket ideas from 23 Quick and Easy Crochet Baby Blanket Patterns! I love this simple, easy blanket for a baby, and as a baby shower gift. I dont understand why it is called 'magical', but it is a great way to use up some of my yarn that I have used in other projects but dont have enough left for a full project on it's own. And when you have a baby, you can never have enough blankets! Jeez, mathbuster, talk about being blunt! I was thinking that this would be easy to do while watching all the programs I have backed up on the DVR. And I don't like those colors either, but it would be pretty in shades of aqua, grey and taupe. Well, you shouldn't call it magical. It's simplistic and boring and the colors used are fugly. I wouldn't make it for an enemy's baby. Wow! Why don't you tell us what you really think, mathbuster? I don't like it either, but different strokes (or stripes) for different folks.